The 2017 Honda Pilot is a versatile, efficient SUV customizable for any driver in the Hampton Roads area. 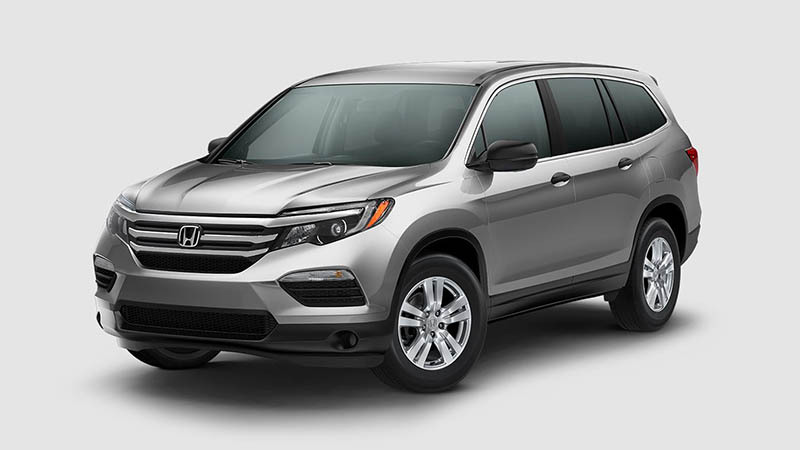 The Pilot is available in five unique trim levels, each offering its share of advanced tech, comfort, convenience, and safety features. From the growing family to the solo adventurer, there’s a Pilot for you. Whether you’re looking for better entertainment or increased safety for your passengers, there’s a trim level for you. Use this handy guide to see what each trim level has to offer so you can easily pick your ideal Pilot. The 2017 Honda Pilot base model is anything but basic. Perfect for any new driver or solo road tripper, it’s outfitted with a 280-hp, 3.5L i-VTEC V6 engine with direct fuel injection, and it boasts an EPA-estimated 19 city/27 highway mpg on 2WD 6AT models. * The LX comes equipped with Hill Start Assist, an active driver-assistance technology that allows for improved traction while pulling away on a gradient. The multi-angle rearview camera gives you eyes where you need them most and includes guidelines for improved navigation in tough spots. Push-button start gets you going in a breeze. The highly visible 5-inch color LCD display gives you all you need to know without taking your eyes off the road. Bluetooth HandsFreeLink, streaming audio, and a USB audio interface in the center console keeps you connected and entertained on the go. The EX is for drivers looking for a step up in comfort and technology. This option adds to or replaces many of the features in the LX. The EX’s intelligent traction management system offers improved handling on all road surfaces and in wet conditions. Remote engine start will cool down your Pilot in the summer and heat it up in the winter. Smart Entry allows for easy entry any time you’re near the car. Drivers and passengers alike will be kept comfortable with tri-zone automatic climate control with humidity control and air filtration. The driver’s seat has a 10-way power adjustment and power lumbar support for added comfort. HondaLink, Apple CarPlay, Android Auto, SiriusXM Radio, Pandora compatibility, and two additional USB ports add even more connectivity capabilities. Touches of class and luxury are found throughout the EX-L trim level. From its one-touch power moonroof to the leather-wrapped and leather-trimmed interior, to the heated front seats and the available rear entertainment system with 115-volt power outlet, HDMI interface, and integrated second-row sunshades, the EX-L offers premium comfort and technology. Honda Satellite-Linked Navigation, available on the EX-L, offers voice recognition and Honda HD Digital Traffic. The Touring edition, for the high-class adventurer, offers a 9-speed automatic transmission with paddle shifters for that racing feel. Roof rails are included for added gear storage. Incredibly clear entertainment is achieved through the Blu-ray rear entertainment system and a total of five USB ports. A 540-watt Premium Audio system with 10 speakers, including subwoofer, provides crisp sound the way it was meant to be heard. 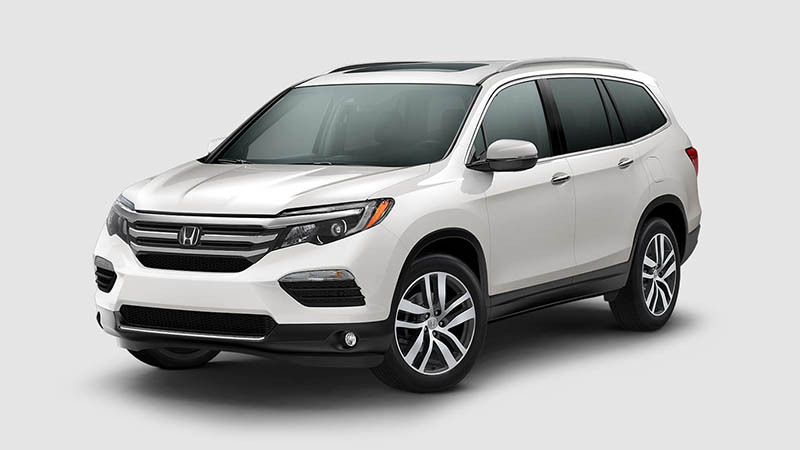 The cream of the crop when it comes to SUV comfort and convenience, the Honda Pilot Elite is perfect for the executive looking to impress. A heated steering wheel, perforated heated and ventilated front seats, and perforated heated second-row captain’s chairs ensure that you and your associates are always riding comfortably. A panoramic roof gives you an amazing view of the sunny sky or starlit night, while the rain-sensing windshield wipers are there to spring into action in unexpected wet conditions. And for added safety, the blind-spot information system is equipped with a cross traffic monitor to notify you of unseen vehicles. No matter what kind of driver you are, Hampton Roads Honda Dealers has a Pilot for you. Stop in today to see all the Pilot’s features in action and get behind the wheel to experience all of its features and amenities for yourself.